Which meals always go down well? Are there any recipes you cook again and again? Perhaps you could share them with us. Or perhaps you have a foody website that you find particularly helpful? 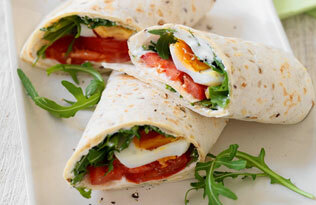 How do you encourage your son/daughter/family member to eat healthily? Do you need to watch their weight? Are there other health conditions (for example diabetes) that make it even harder? All advice, stories and recipes welcome. Microwave biryani is my favourite recipe at the moment - from Jack Monroe. It's rich, it's delicious and it's super easy to make. 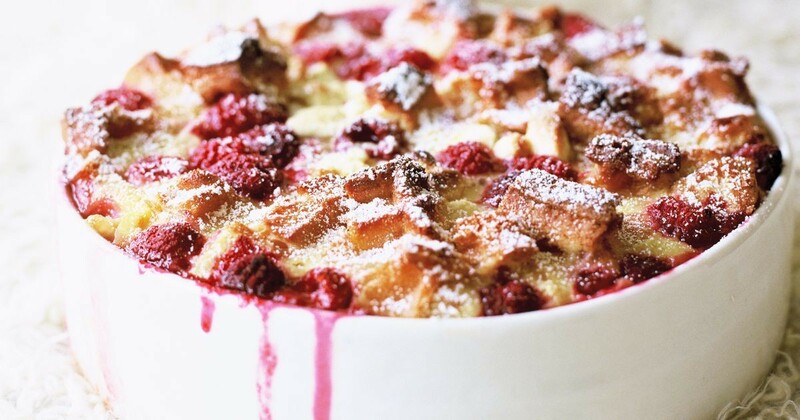 Indulge those you love with this heart-warming pudding. I also like quick easy meals - I have tried a few on here which are all really healthy too. We really liked the quick pitta pizzas. No time? That doesn?t mean you can?t eat something healthy and delicious. Get inspired with our 25 quick healthy meals. Find out more. Some tasty looking recipes already posted here that I will have to try. I hope the below recipe and links are of interest and use. As a side note, Have Mencap thought about publishing recipes of all kinds from people who post in a book, and selling it to raise funds for support? 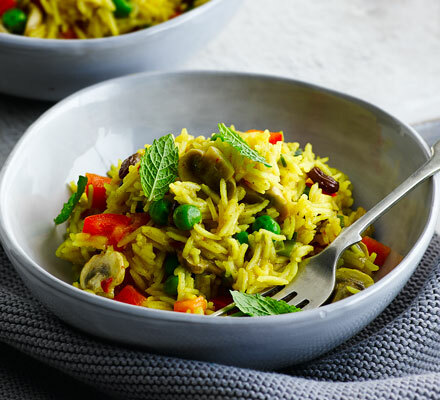 Rainbow rice is a pretty versatile and easy to make recipe, its kind of like packet savoury rice, but much tastier and you can also change the ingredients to anything you want whether you are a meat eater or vegetarian, and eat on its own or with something else. I like to make a vegetarian version, adding a little turmeric and fenugreek for flavour and colour, with peas, sweetcorn, spring onion, chopped courgette and some artificial meat such as Quorn. (No strict measurement, just add as much or as little of the ingredients as you like). Mix the rice in a pot of cold water with the peas, sweetcorn, stock cube, turmeric and bring to the boil. You can also add the Quorn now or cook it separately. Boil the rice mix, until it is almost soft and ready to serve. While the rice is cooking, chop the courgette and spring onions into small pieces. Then in a pan with or without oil, sprinkle the fenugreek onto the courgette, spring onion and Quorn, stirring while it cooks, then turn down the heat. While the Quorn mix cooks, drain the rice mix and add it to the pan with the Quorn, courgette and onion, stir it together while it cooks (add a few sultanas now if you like them in food) mix everything together, cook for a minute or two then serve. 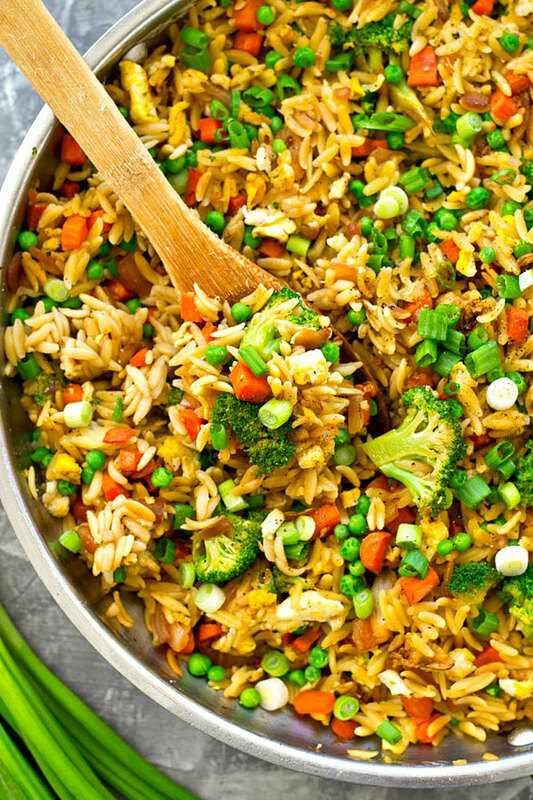 This healthier vegetarian take on fried rice uses orzo instead of rice and a rainbow of veggies! You'll only need 30 minutes to make this orzo skillet. Oh wow @Chris - thank you so much for posting this. I will give it a try. I will also ask about the recipe book - it is a great idea. Ok - not so much healthy but rather quick, cheap and tasty. A bit of a hangover from my student days but everyone in my family loves this - Corned beef hash with baked beans. 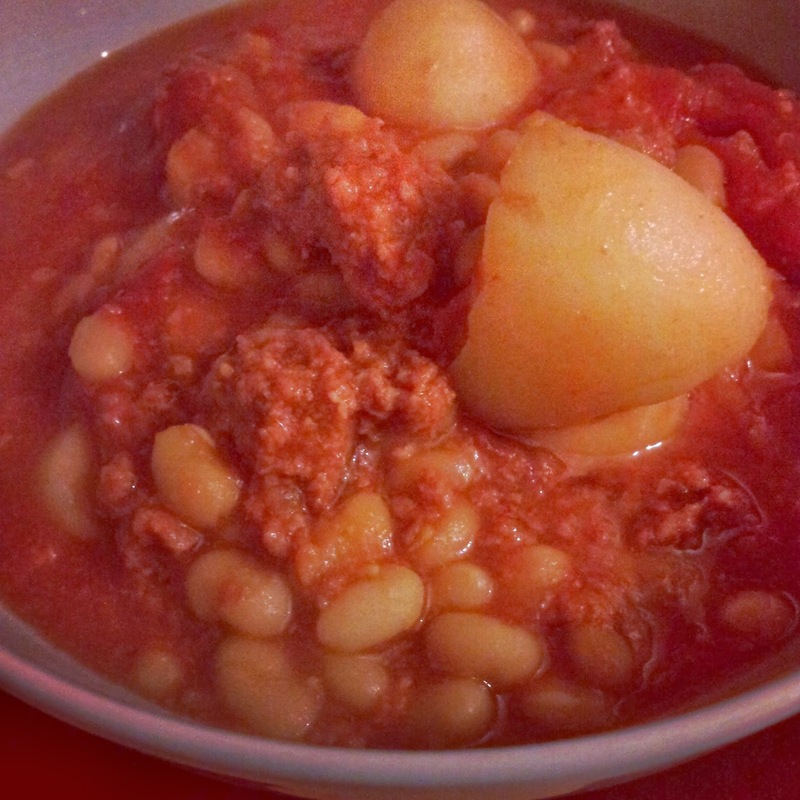 add baked beans, tomato puree and the corned beef to an oven proof dish. Cover in Worcestershire sauce and pop the mash on top. Add grated cheese if you like it. 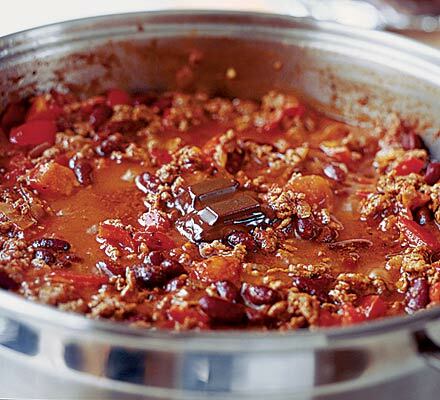 This great chilli recipe has to be one of the best dishes to serve to friends for a casual get-together. 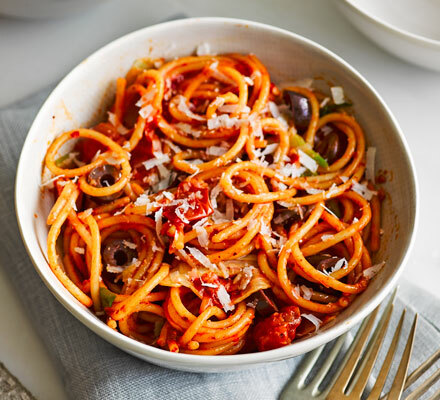 An easy sharing favourite that uses up storecupboard ingredients. A lot of people like me may not be too skilled at cooking but have support to do at least a simple meal. A spicy sausage pasta dish with a difference. Using the cooking water helps the sauce cling to the pasta and gives the dish more body. A silky smooth sauce, perfect pasta and one pan to wash! It’s not always good to eat microwaveable food. Thanks for posting @amy.c. I’m going to have a go at those homemade baked beans. They are making a dozen easy-to-understand recipes, including spaghetti bolognese, chilli con carne, and quorn paella, broken down step-by-step. All the videos (on YouTube have been made with the help of people with learning disabilities, for people with learning disabilities. Each video also has an easy-to-read recipe list document. A new video will be broadcast every week, with the next upload on Monday 17 December 2018.